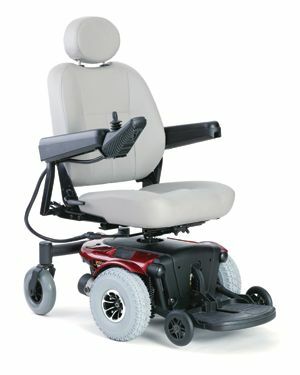 with power elevating seat standard!! 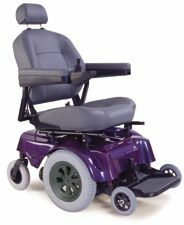 The Jazzy 1103 Ultra brings sporty style and high-performance features, like a standard power elevating seat and active-trac suspension, together in a perfectly balanced power chair. Yet, even fully loaded, the Jazzy 1103 Ultra remains highly compact and maneuverable. The mid wheel drive design allows the user to in the tightest spaces, such as a small kitchen or restroom, and tight corners are a breeze with the 18 inch turning radius. The power elevating seat allows the user to remain seated while reaching kitchen counter height, or high shelves in supermarkets, etc. The low center of gravity design delivers a very smooth and stable ride. Power elevating seat is standard.